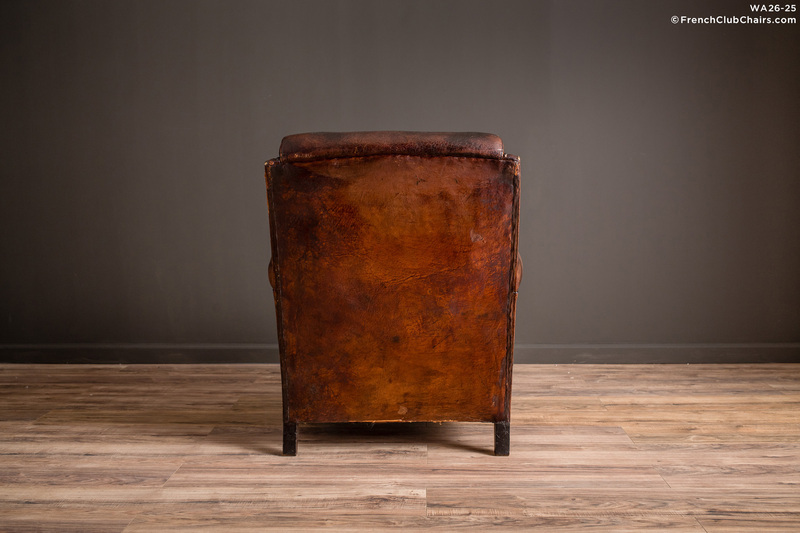 This lovely French nailed head French Club chair could be the model of what all the people trying to copy French Club chairs would want to use. It features the transitional style where the cushion was velvet that was prevalent in previous French seating. This chair has some age appropriate wear, a little repair here and there but the chair is is sound, good condition overall. It sits quite nicely. Circa 1930s. measurements: depth-36", width-31", height-35", seat depth-21", seat width-18", seat height-18"